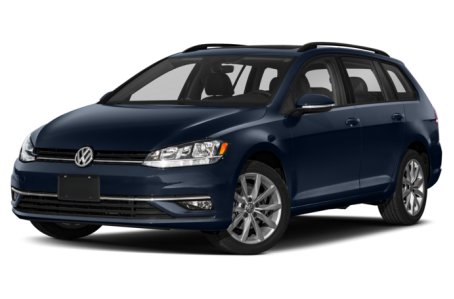 The 2018 Volkswagen Golf SportWagen is a five-door wagon version of the compact Golf. Maximum cargo capacity is 66.5 cubic feet with the rear seat folded down. It is powered by a 170-hp, turbocharged 1.8-liter four-cylinder engine mated to a six-speed manual or automatic transmission. Front wheel drive comes standard, while all-wheel drive is available. This year, it receives the same midcycle exterior refresh as the regular Golf.